Special Counsel Robert Mueller found no evidence of collusion between US President Donald Trump’s campaign and Russia in the 2016 election, but left unresolved the issue of whether Trump obstructed justice by undermining the investigations that have dogged his presidency. It marked a political victory for Trump. He quickly claimed “complete and total exoneration” while his Democratic opponents expressed dissatisfaction with the outcome and vowed to continue congressional probes into his business and personal dealings. Mueller’s 22-month investigation ended with a finding that no one in Trump’s campaign “conspired or coordinated with the Russian government,” according to Barr’s four-page summary of Mueller’s confidential report. The long-awaited report into whether Trump’s 2016 campaign colluded with Russian efforts to help him defeat his Democratic opponent, Hillary Clinton, marked a major milestone of his presidency as he prepares for his 2020 re-election battle. Trump describes the Mueller probe as a “witch hunt”, saying there was no collusion with Russia and denying he obstructed justice. He is certain to use the report to attack his Democratic opponents in the 2020 race. Many of Trump’s opponents had accused the president of obstructing the Russia probe when he fired former FBI Director James Comey in 2017. Mueller himself did not reach a conclusion on whether Trump broke the law, but he presented his evidence to Barr to make a determination. “While this report does not conclude that the President committed a crime, it also does not exonerate him,” Barr quoted Mueller as writing in the final report on an investigation that led to indictments and convictions of several of Trump’s senior former aides. Barr, a Trump appointee who took office last month, said he and Deputy Attorney General Rod Rosenstein concluded that the evidence did not justify bringing obstruction charges. Democrats, however, said they wanted to see Mueller’s report for themselves as they launch congressional investigations of their own into the 2016 election and Trump’s business and financial dealings. 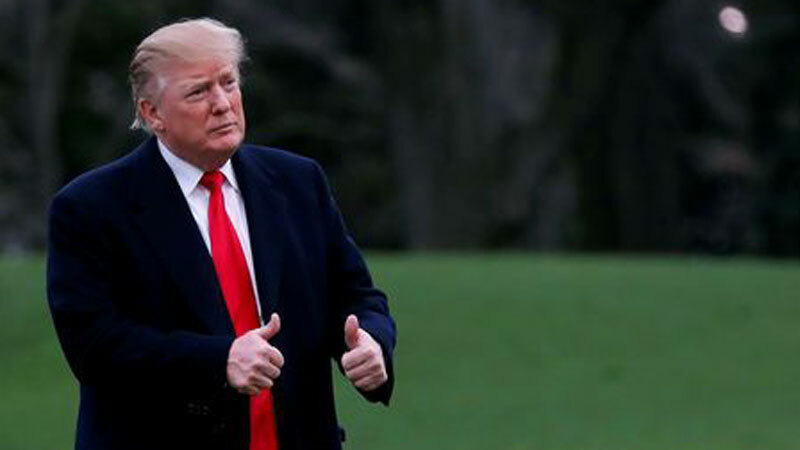 US Senate Intelligence Committee Chairman Richard Burr, a Republican, said Barr should release as much of Mueller’s report as possible. It remained unclear, however, how much more would be made public. Mueller formally ended his investigation on Friday after bringing charges against 34 people, including Russian agents and former key allies of Trump, such as his campaign chairman Paul Manafort, former national security adviser Mike Flynn and his personal lawyer Michael Cohen. None of those charges, however, directly related to whether Trump’s campaign worked with Moscow. While Mueller’s team backed the assessment of US intelligence agencies that Russia worked to help Trump win the 2016 election, it concluded that Trump’s team did not collude with Moscow. “The Special Counsel did not find that the Trump campaign, or anyone associated with it, conspired or coordinated with the Russian government in these efforts, despite multiple offers from Russian-affiliated individuals to assist the Trump campaign,“ Barr said in his summary of Mueller’s report. Trump, who had been uncharacteristically quiet on Twitter for much of the weekend as the country awaited Mueller’s conclusions, was in his private quarters at his Mar-a-Lago resort in Florida when he got the news from his advisers. “This is very good!” Trump said, according to White House spokesman Hogan Gidley. And Trump was clearly in a good mood as he returned to Washington from Mar-a-Lago n Sunday evening. The closure of the special counsel’s probe gives Trump a boost but it does not mark the end of his legal woes. Other investigations are focused on his businesses and financial dealings, hush-money payments to two women who said they had affairs with him, and questions over the funding of his charitable foundation and presidential inaugural committee. Democrats who control the House of Representatives are also preparing a series of their own inquiries. Barr said the decision was left to him by Mueller, and he said there was not enough evidence to move forward with such a charge. “The report identifies no actions that, in our judgment, constitute obstructive conduct, had a nexus to a pending or contemplated proceeding, and were done with corrupt intent … each of which … would need to be proven beyond a reasonable doubt,” Barr explained in his letter to lawmakers. Still, Trump’s closest allies were delighted. Vice President Mike Pence hailed it as a “total vindication of the President of the United States and our campaign” and many Trump voters saw it as a victory over the president’s opponents. Published in Daily Times, March 26th 2019.